We love our weddings, our clients and making fairytales come true and nothing beats opening up your emails to find a fabulous testimonial from absolutely delighted clients. I was actually out today with friends on the beach (yes a tough life and a rare wedding free weekend!) when I received a Whatsapp from Petra, my right hand girl in Barcelona, telling me she was so happy she could literally jump for joy and telling me to check my inbox!! I checked in tonight and was absolutely delighted to receive this glowing testimonial from Kareemah and Ioulian whose wedding we planned and styled recently in Mataro, near Barcelona, at the beautiful venue Bell Reco. It really was a fairytale wedding, I sat there at one point in the evening taking everything in and really was taken back at the stunning location, the beautiful decor we had created and such a seamless perfectly planned day. It is times like this after many emails, Skype calls, spreadsheets and designing, when it comes together and you realise what a fabulous event you and your team have created with the support of some of our brilliant suppliers. Here is our wonderful testimonial received that has made us bounce around and so very happy! This photo is actually taken off my iphone and I think is very magical so cannot wait to see the professional photos and share these with you soon :)! I am totally rocking my new rose gold sequin runners btw!! We’re back from our honeymoon in Provence and back to ‘normal’ life again! 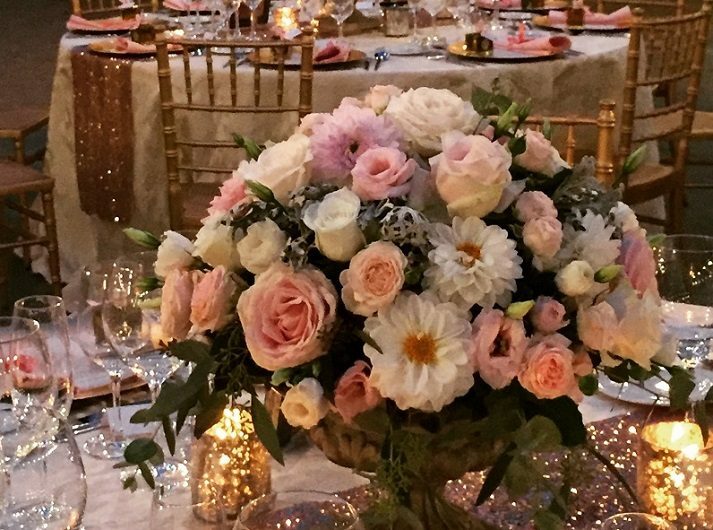 The decor was fabulous and you really made my vision come to life in the best possible way. Words cannot fully express the immense gratitude we have for you guys for making our day exceptional. Petra, you are one of the hardest workers I know. You’re somewhat of a perfectionist like I am and because of this we were aligned on almost everything. I will miss our Skype calls!! Laura, you have a gem in Petra and with her on your team your business will undoubtedly go very far! The overall decor and table settings were so perfect, you guys were truly outstanding. 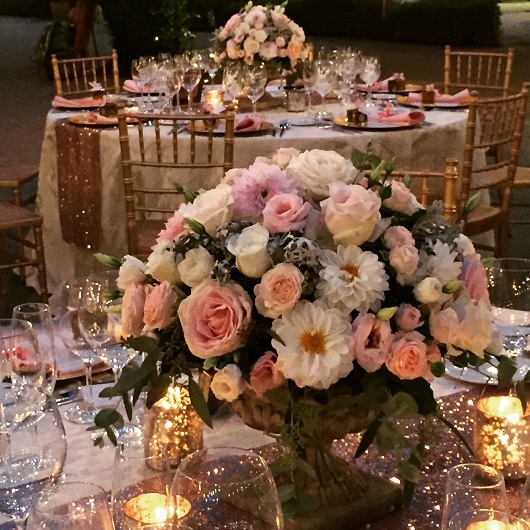 Laura- those rose gold table runners and gold base plates were divine! They really did pull the whole look together. The welcome sign and seating cards- really it was like you were in my head! All your suggestions were the little details that made everything come together. Also the coordination on the day of and beforehand was exceptional. Petra, thank you for putting up with my many demands and requests!! We have recommended you to all our friends as the service from start to finish was not only professional but also well in line with my vision for the wedding. I will miss speaking with both of you.